WICE is excited to offer a diverse selection of drawing and sketching classes suitable for all levels of skill. 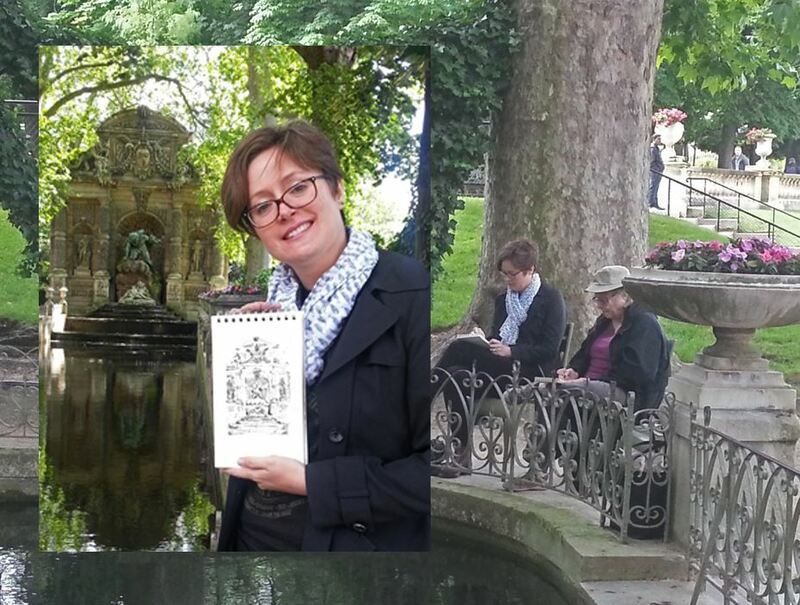 Students can expect instructors to rely on the beauty of Paris as inspiration for their course material, whether you find yourself in the classroom or out in plein-air. If you've ever longed to try drawing for the first time or have almost filled your latest sketchbook, our talented instructors are ready to move you to the next step in your creative journey. Paris, the City of Light, is an inspiring place, notably for painters of all persuasions. WICE is excited to offer painting courses that encourage hands-on instruction, engaging creative assignments and lively group discussions. With or without prior experience, you will be led through small classes with individual attention. These courses are structured enough to provide all the basics of the craft, yet free enough to allow experimentation and discovery. Jan Olsson holds a Master of Fine Arts in Drawing and has been a full-time resident of Paris since 1990. During her tenure at Mary Baldwin College in Virginia, she received the coveted Professional Fellowship in Painting from the Virginia Museum. She has also received invitations as artist-in-residence at Virginia Centre for the Creative Arts and the Sante Fe Art Centre. Subsequently she completed her third residency at the Cité Internationale des Arts in Paris and relocated to the celebrated artists' studio near Montparnasse known as La Ruche. Jan is an engaging teacher with many years of experience who exhibits internationally.